WKOG editor: As a side note, Amazon Watch, like many NGOs are created as incubator projects by foundations such as Ford and Rockefeller in order to shape, manage and control movements, as well as dissent. 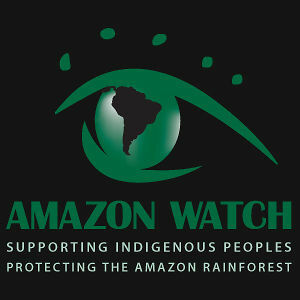 According to Wikipedia: “Founded in 1996, Amazon Watch is a nonprofit organization based in San Francisco, California. It works to protect the rainforest and advance the rights of indigenous peoples in the Amazon Basin.” What Wikipedia does not tell you is the fact that Ford “gave a grant, beginning January 12, 1987, to the Brazilian Foundation for the Conservation of Nature (BFCN), the oldest, most establishment-connected conservation group in Brazil which had also gotten funds from WWF U.S. since 1983. The Ford Foundation said BFCN hired Mallas “as a member of the project staff.” She was listed as the co-ordinator of a meeting that was to plan an organization called “Amazon Watch”. The grant ($22,850) was later reduced to $16,000, which covered the actual expenditures: it came from Ford’s Rural Poverty and Resources Division, the section later run by Peter May who went on to work with Clay, Groeneveld, the Body Shop, et al. The BFCN was headed in 1987 by Admiral Ibsen De Gusmao Camara, who acted as the liaison with Ford Foundation on the Amazon Watch project. The admiral’s term as president of BFCN ended in the fall of 1987. The new president fired everyone the admiral had hired.” [Source: Cloak of Green: The Links between Key Environmental Groups, Government and Big Business by Elaine Dewar (Jan 1 1995)] – Another example of a popular incubator project that operates under the guise of “grassroots” is Rockefellers’ 1Sky/350.org. 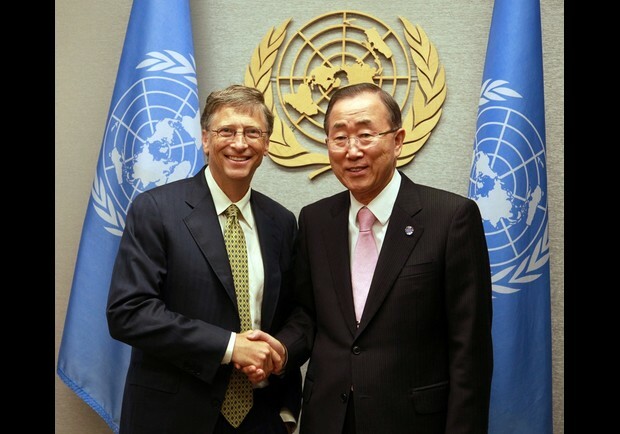 On the NAIPC listserv this week, Robert Free Galvan asks some important questions of the North American Indigenous Peoples Caucus and the elite indigenous lobbyists who manipulate it to conform to the UN colonial model. He interestingly asks about the funding of such lobbying from notorious foundations as Ford. This will no doubt be an uncomfortable topic for the lobbyists who’ve grown accustomed to the international NGO lifestyle, but like Mr. Galvan says, the NAIPC credibility issue is increasingly being discussed as relates to the UN World Conference on Indigenous Peoples. That credibility issue, as we explored in Report from Sycuan and a follow-up article on the NAIPC coordinators’ misfeasance, means grassroots indigenous activists have good reason to be suspect of the motivations and trustworthiness of the indigenous lobbyists who have repeatedly been less than transparent or forthcoming with information about the UN process, which, as we noted previously, is designed to undermine the world indigenous peoples movement. Update: On May 7, Kent Lebsock of Owe Aku International responded to the announcement of the UN Permanent Forum on Indigenous Issues appointments for the 2014-2016 term with the sarcastic remark, “Gee, we didn’t even know they were up for renewal. Very democratic.” While the nominations and appointments to this international body by the UN and its member states is no secret, Lebsock’s remark highlights the legitimate concern of indigenous governing authorities that the implementation of indigenous peoples human rights is constrained by the control the UN, its member states, and foundations like Gates and Ford exercise over the UN process. The co-optation of influential indigenous NGOs by philanthropic colonization complicates indigenous activism; indeed, the capture of the UNPFII leadership in the form of corporate brokers like Grand Chief Edward John — head of the British Columbia Treaty Extinguishment Process and chair of the UNPFII – is not surprising, but it is challenging, especially when indigenous governing authorities already face overwhelming odds just trying to organize their diplomatic missions to the World Conference on Indigenous Peoples. As I noted in January, in order to be heard, indigenous voices have to be present, even if that means enduring internal discord and external betrayal. For indigenous leaders, this is perhaps their greatest challenge, but it is one they must meet if indigenous self-determination is ever to become a reality.